Thanks for help me out. i am forever grateful for keeping to your words. we need more people like you. please you stay far away from me, how u can assist me to process it, i dnt wnt any mistake reason i am asking for your help. 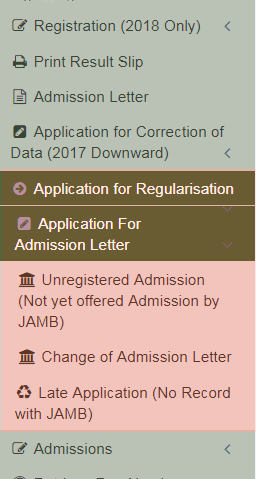 to the best of my knowledge, the regularization processes was not properly done, check my previous post on the old method of jamb regularization. 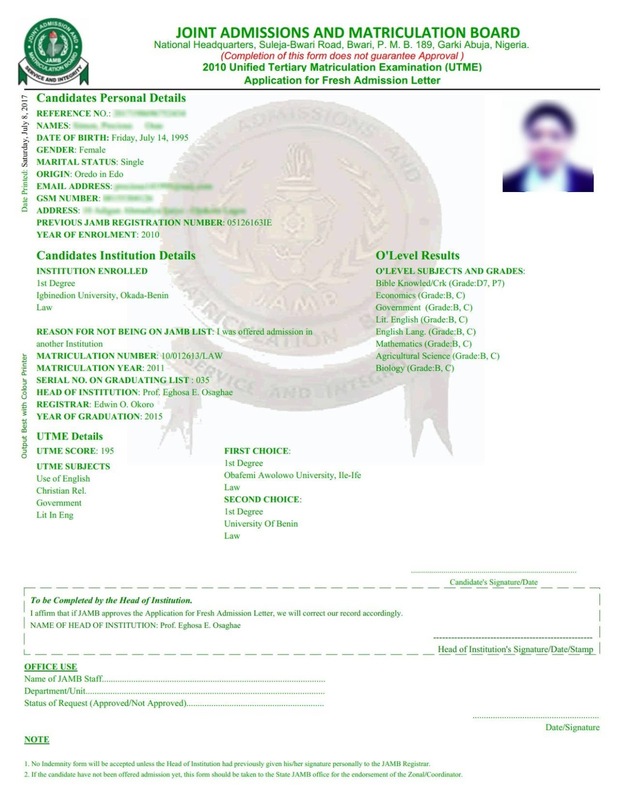 i mention there that after your hv successfully done the regularization process next is to confirm you admission status, and it will show you immediately that you are admitted. I tried uploading my passport and it says too large. What should I do. 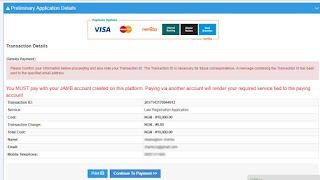 hello Sir, I also paid a sum of 10,000 naira to jamb for the sake of regularization which was acknowledged but to continue with the process, error 404; 404 - File or directory not found. 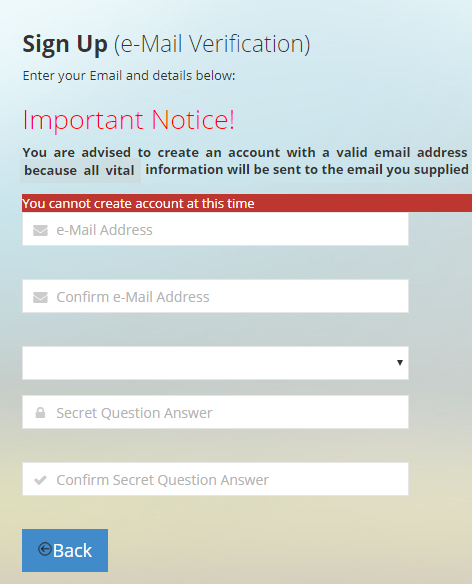 plssssssssssssss what should I do? Sir will full time OND also do regularization if admited? 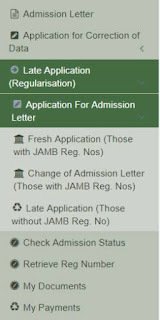 I was given admission through jamb direct entry, but I have no admission letter from jamb what should I do? 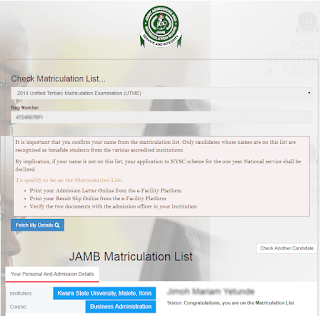 Please, Does this Jamb Regularization apply to students who have the wrong Jamb combination which is not in line with the course they put in for. For example, doing the combination of english, physics, chemistry, biology in Jamb for a course like mechanical engineering. 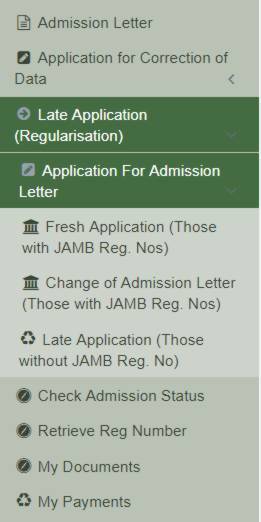 I was given admission by jamb in 2015 to a polytechnic but i choose the polytechnic as my second choise then. right nw, i want to apply for DE but during registration i was told my registration number is invalid. am i to do regularisation? Please Sir, I and my colleagues did the regularization since August last year, uptill now we have not rexieved the pins and the NYSC registration is fast approaching. What should we do? 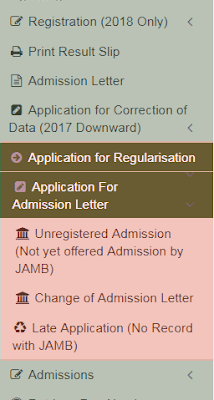 sorry, but i made confirmation from Jamb website and it wasn't stated that those who did change of course should regularize.... or is the info wrong? 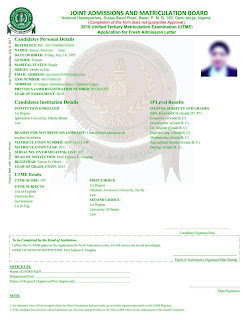 Can someone use the previous years direct entry profile to apply for this year?